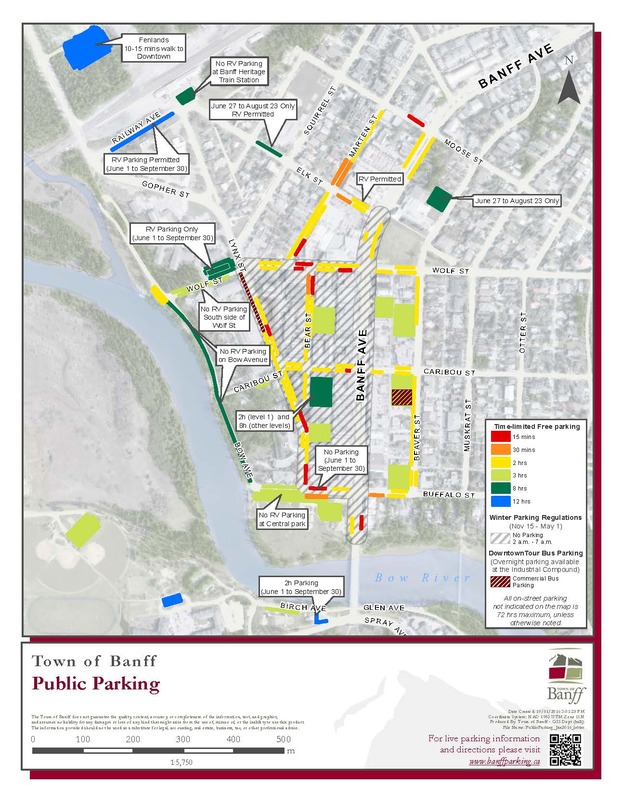 The Town of Banff has on-street parking and off-street lots with one-hour to 12-hour limits. 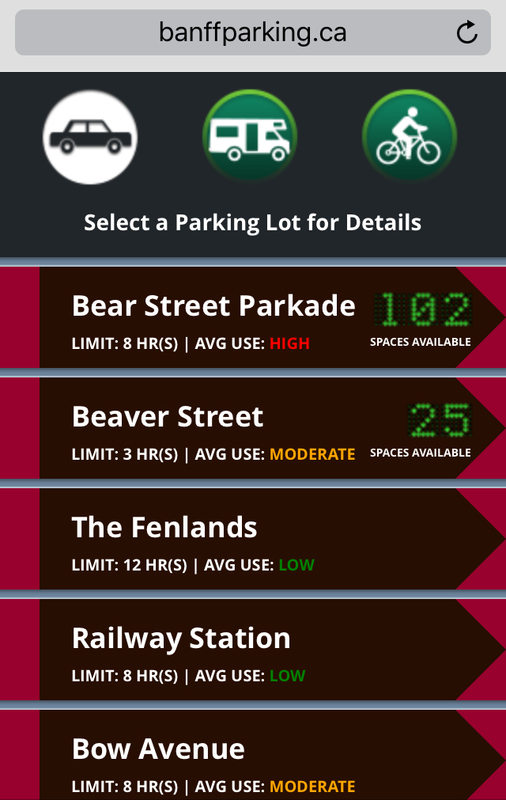 Time limits exist on all parking spaces and there are also seasonal restrictions in certain areas. Restrictions are enforced, so please check the signs when you park. In residential areas, unless otherwise posted, vehicles may not park for more than 72 hours. Commercial tour buses have special parking regulations and are required to use the Legal Bus Routes (PDF) when travelling to their destinations in the Town of Banff. Banff is a walkable community, and most things are within a 10-minute walk. Find out more about Getting Around in Banff. 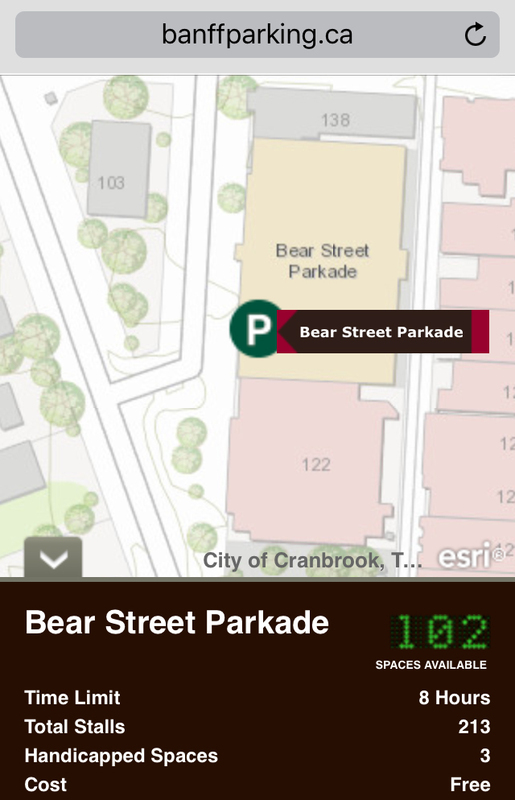 Use Banffparking.ca, a mobile site designed for use on smartphones, to help you find parking for your car, RV or bike. The Traffic Dashboard shows parking availability, traffic cameras, and travel times in the Town of Banff. Check Banff Now for real-time parking and traffic information for lots and roads in the national park. In the Town of Banff, we don’t paint our curbs yellow to indicate where you can’t park. The only place you’ll see curb paint is by the Fire Hall, where the 'no parking' area is indicated with red paint. Motorists must be responsible for learning the rules of the road and parking restrictions.